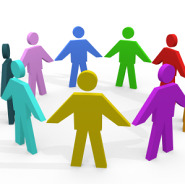 To make sure our services meet the needs of all, we invite registered patients to join our Patient Participation Group. We will ask the members of this representative group some questions from time to time, such as what you think about our opening times or the quality of the care or service you received. We will contact you via email and keep our surveys succinct so it shouldn’t take too much of your time. John Betjeman Centre - a small local independent charity supporting local people who are over 50.